Hello and welcome to week 28 (so close to week 30!) 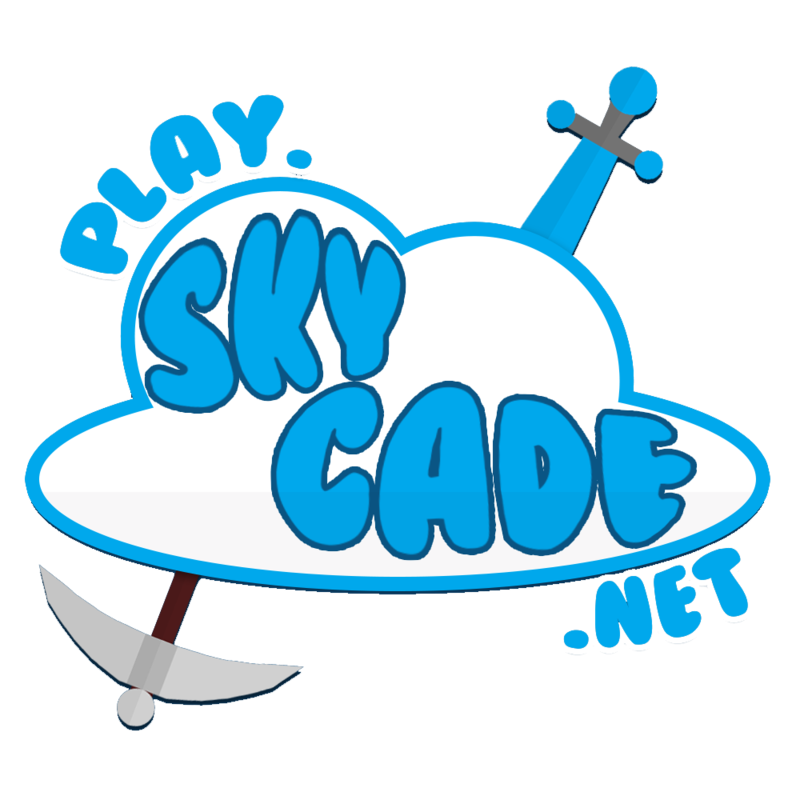 of skycade weekly, the weekly thread that with all recent and important skycade news. Apartmentalize -> Promoted to Mod! Worv -> Promoted to Mod! Mist -> Promoted to Mod! PurpleGalaxy -> Helper, then Resigned. Jimbobads -> Promoted to Mod! A few updates for skyblock this week! Firstly, mob stacking has been enabled. Also, admins+ are now removing cactus farms, if you have one and want it removed contact one. Cow spawners are now in voting crates. Spawner unlocking prices have been reduced 60%. The Infection event has been removed and will be replaced soon. Finstaa - Banned for inapp item name. Extended for lying. This week we interviewed skaga! I had several motivations for joining the staff team, but the thing that motivated me the most has to be helping out the community. People often struggle with various parts of different gamemodes. I primairly played Factions and was able to help out lots of players with the trust of being staff, since you can tptrap and scam in Factions (as staff you aren't allowed to do that). What did your parents think when you got accepted? Did they know? explain. I told my parents about it when I actually got accepted as Helper. They reacted happy but also concerned that I wouldn't spend any time on work or with them anymore. Since I've been staff for a while now, they know that that isn't the case though. Whats the best part about being staff? Being able to help out the community without being distrusted by everyone and seeking justice for victims. Helping out others is a passion of me and it feels great to know that you were able to give a little bit of joy, releaf or information to someone. It's also nice to know about the stuff that gets fixed behind the scenes. As regular player you mostly don't get to see everything that's being worked on, but it's a lot! What was your biggest mess up as staff? That must be the moment I tried punishing someone with a custom punishment (which you have to typ in chat) but accidently forgot to open up the menu again after a wrong try. This resulted into me typing out a ban in chat. How did you find skycade? I found it through Jacks hacker catching vids and it looked like people were actually getting punished for stuff on that server, which I liked to see. So that's the reason I joined in. Within a few minutes I already joined a faction with a couple of fun players in it such as indey_ken and later on Republic, InfamousAnarchy, Dogboy506, Ben_Shroom and DannYTop123. What gamemode do you enjoy/main and what gamemode do you think is the best to play as Mod. I main Factions and I have years of experience with it. Though I used to play it a long time ago so I primairily had my knowledge of classic Factions. I had to refresh my knowledge again when joining Skycade, which I enjoyed doing. The reason of me enjoying Factions so much is because of the strategic aspect of it. I love plotting plans and carefully executing them. The best gamemode for a Moderator would be Factions as of you being able to help out a lot better with your perms there than you could as Helper. cringe as usual and didn’t include any raids what? BOOO WE WANT SKYCADE DAILY! We got confused with dates and such as we have a cut off! Anyway thanks and I’m glad you read the threads! • You where Banned before week 27 not week 28. You would have been in that week. • Also, we rarely list discord bans. • Finally, we know? You make it so clear I think 90% of skycade know. No shout out for you.